The proposed new LTD public transportation system uses people counters on the bus system to get an accurate measure of rider tendencies across different routes at specific times. Each bus will be equipped with two sensors which will generate numeric data no larger than 4 bytes of memory at any given time. The data will then be wirelessly transferred to LTD headquarters once per minute. Having this information will allow LTD to more efficiently plan their bus routes, which will create a safer and more comfortable public transportation system. To successfully perform this project, we have developed a system to accurately record how many people are on a given bus at any time and location. This inexpensive method, is accurate, requires little setup, and does not take up much space. For example, it would replace older methods of people counting that usually consist of an individual taking notes with a clipboard. The sensor system will keep track of when people enter or exit the bus and record the data. The sensors use IR beams that will reflect off of the passenger’s clothing. 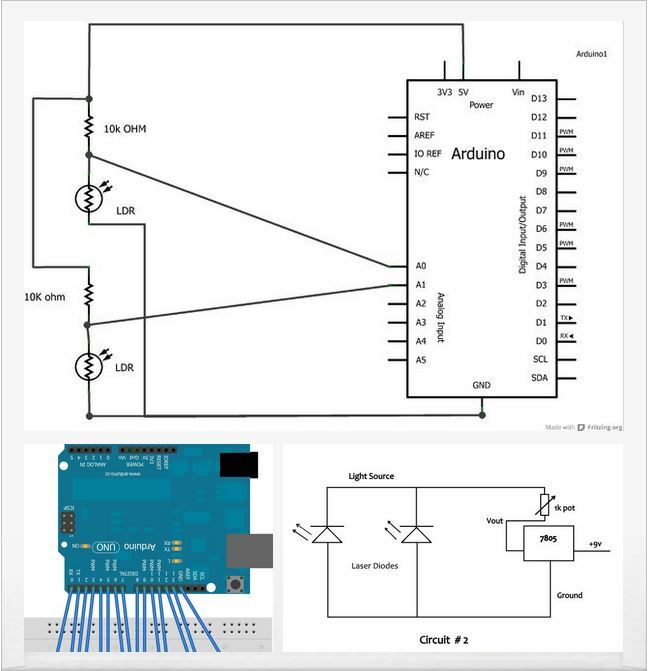 Direction is detected because the Arduino board has two IR sensors placed side-by-side and are able to determine the direction of the person by the order by which the IR beams are reflected back. After completing of the project, LTD will be able to redesign their route system based on actual usage data from their buses. Data will document ridership usage 7 days of the week at both peak and low-use hours of operation. Often buses are overcrowded at high-traffic commute times, but can be nearly empty at other times of the day. Not only is overcrowded transportation a safety and comfort concern, under crowded bus transportation is inefficient and potentially detrimental to the environment. This project is able to supply the LTD transportation network with the data that is needed to assist in the structuring of a sustainable transportation bus system in Eugene and Springfield that safely and efficiently transports members of the community. The LTD SMRT project has the ability to connect an invaluable transit system to those it serves through the smart use of sensor technology. Once installed, the sensor network has the power to communicate user populations of each bus, informing that transit system to pursue its mission with efficacy and efficiency. This project is geared towards transforming the Eugene/Springfield community into a smart city, which uses investments in technologies to better run the city. These investments, in theory, will create more efficient, sustainable and safe infrastructure for the residents.